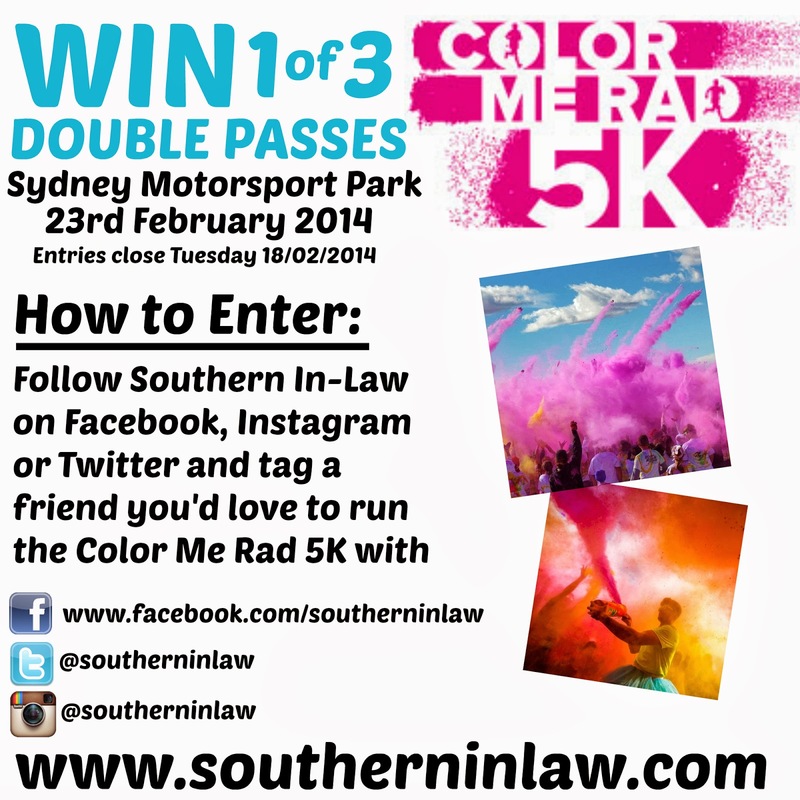 Southern In Law: WIN 1 of 3 Double Passes to the Color Me Rad 5K in Sydney! WIN 1 of 3 Double Passes to the Color Me Rad 5K in Sydney! Always dreamed of running a paint run? Now's your chance! We have three double passes to the Sydney Colour Me Rad 5k on February 23rd to giveaway (valued at $110 each!) and it's so easy to enter. Simply like/follow Southern In-Law on Facebook, Instagram or Twitter and tag the friend you'd love to run the 5K with! Get your friend to do the same and you'll have two chances to win! Competition is open to Australian Residents and closes on February 18th, 2014 at 11:59 PM EST. The winners will be selected at random and notified via Facebook, Twitter and Instagram. Should the winner not reply within 1 day of announcement, an alternate winner will be selected. Please note: the winner must be a valid and current liker of the Southern In-Law Facebook page or other relevant social media pages at the time of competition's close.